On Monday I shared the Fiction portion of this month’s Quick Lit. 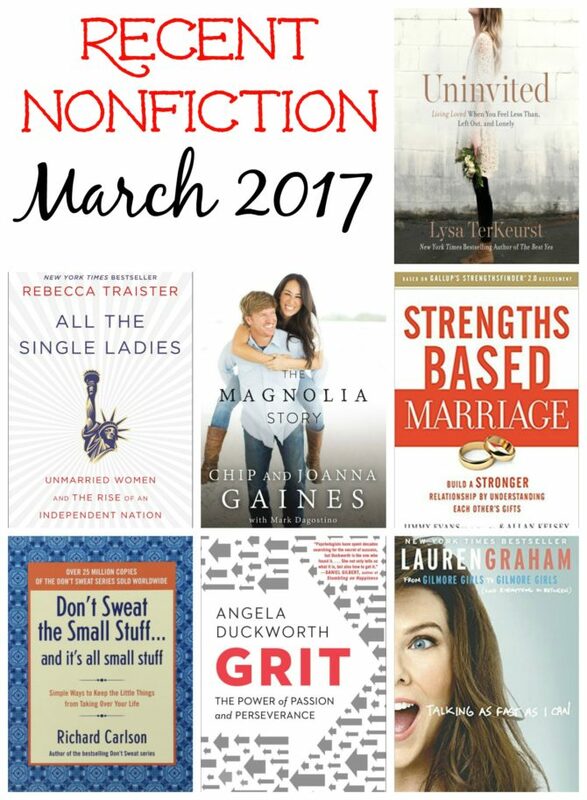 In a surprising shift from the norm, today’s Nonfiction portion is a few books longer. I’ve been drawn to a range of subjects lately, as you’ll see in the reviews below! 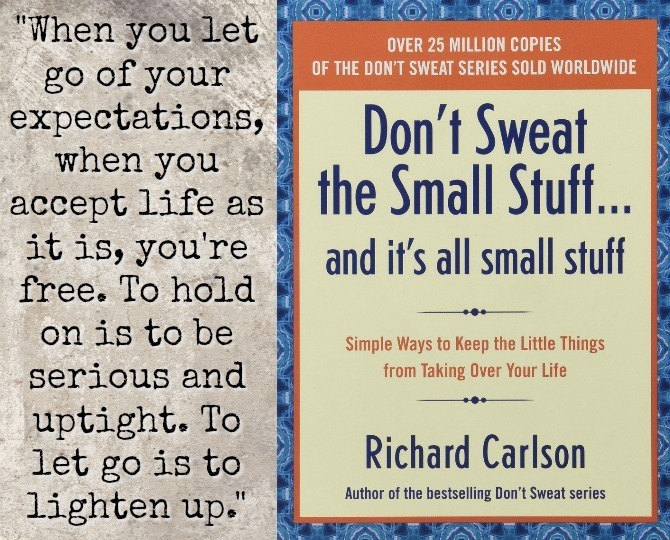 I don’t think I’ve ever met a day, a problem, or really any “stuff” that was too small for me to sweat—which is probably why I resisted reading this book, despite having seen it in bookstores and on library shelves for years. That said, I’m clearly the intended audience and truly do feel like it was written specifically for me. The book contains bite-sized chapters describing tools and techniques for combating stress and learning to live a calmer, more meaningful life. I liked the brief format of the book, and though few of the ideas were new to me, it was helpful to see them all in one place. I wasn’t impressed with the writing style, and was surprised by how dated some of the stories felt—the world has changed a great deal in the twenty years since the book was written, and the “stressful situations” seemed almost laughable compared with today’s tech-obsessed, mile-a-minute world. I shutter to think how serene 2017 may seem twenty years from now! I suppose this really does confirm Dr. Carlson’s points about the ephemeral nature of today’s problems. 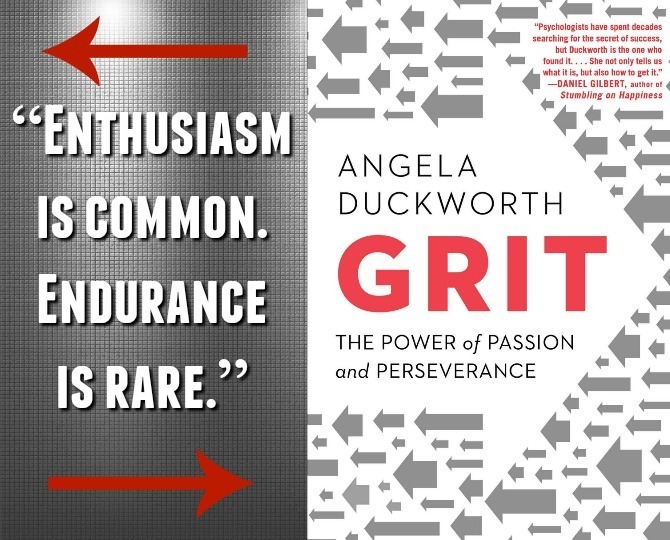 Growing up, one of my Dad’s most common adages to my brother and me was “never, never, never give up.” I didn’t know it at the time, but what my Dad was instilling in us was a focused perseverance that Angela Duckworth defines as “grit.” Drawing on her own unlikely path to becoming a celebrated researcher, Duckworth demonstrates the value of grit and argues its position as the primary determinant for success. Duckworth shares inspirational stories of those for whom grit has led to high achievement, and she offers suggestions for cultivating grit in ourselves and in our children. I love Duckworth’s premise and was inspired by her many examples of “gritty” role models. Her concepts are sound, and though her research is a bit shallow, I can fully embrace the value of her ideas. My enormous caveat is that there simply isn’t enough material to fill an entire book. Duckworth’s principles could easily be edited down to the length of a long-form article without losing any of their punch. Unless this subject is a true passion of yours, I’d recommend skipping the book and sticking with just the Ted Talk instead. 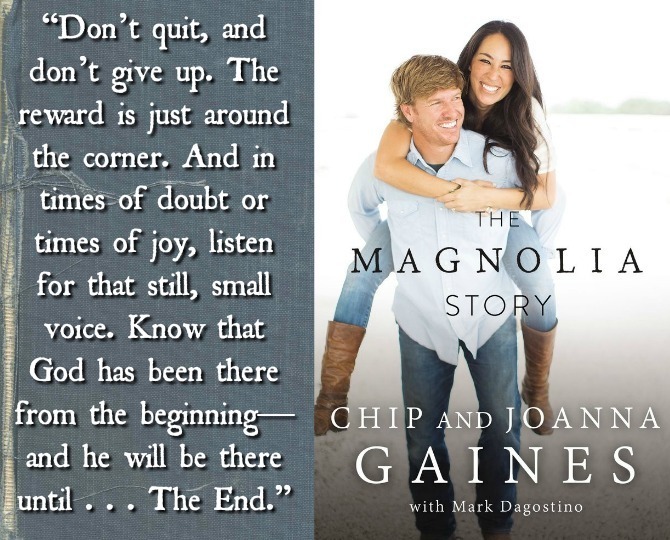 I admit that I’ve had a hard time understanding the mania surrounding Chip and Joanna Gaines. I’ve only seen one episode of Fixer Upper and it didn’t seem much different than any other HGTV show, and when we visited Magnolia Market last year I wasn’t that impressed. Still, I was curious to learn more about this couple who have stolen the hearts of so many, so when their book was released I eagerly added my name to the library waitlist. And now, having read (listened to) it, I can honestly say that I’ve joined the Chip and Joanna fan club! In their brief and engaging memoir, the couple share the story of how they met, launched their businesses of house flipping and design, and evolved into the successful couple and television success they are today. Their faith plays a prominent role in both their business and personal lives, and I loved seeing God’s faithfulness and provision at every step in their remarkable journey. I also admire the Gaines for being so vocal in giving credit to God for their success. Chip and Joanna are obviously crazy about each other, and their love shines through their narration, as does their quirky humor and admirable values. Aspects of their story had me wondering if they could possibly be the real deal (Chip’s antics are unbelievably ridiculous, and some of their coincidental big breaks seemed almost too good to be true), but even in the great likelihood that their stories have been embellished for the book, I couldn’t help but love and admire this unique couple and be inspired by their story. I listened to the audio version, and hearing their story read in their own voices greatly enhanced the reading experience. 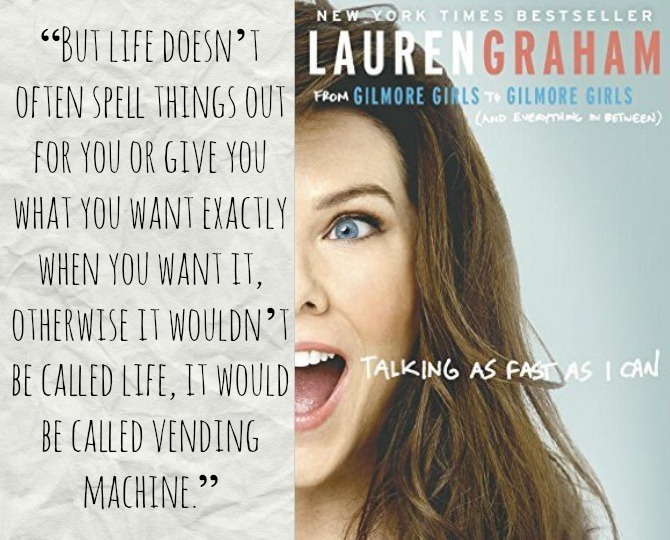 Unlike seemingly every other woman of my generation, I was never a big fan of Gilmore Girls (though to be fair, I only watched a couple episodes, probably not enough to give it a real shot), but I’ve liked Lauren Graham in some of her other roles and was excited to listen to her memoir. Her book is lighthearted and humorous, conversational in tone and deep at moments without becoming too philosophical. Much of the book is dedicated to discussion of Gilmore Girls, and even without having seen the show, it was fun to hear her commentary on her costars, their outfits, and what was going on in her life at the time. Lauren comes across as fun and down-to-earth, and her book has me wanting to give Star’s Hollow another chance. Strengths Finder has been on my mind since I wrote about personality-themed books a few weeks ago, and I think that’s what led me to pick up this book. Luke and I both took the Strengths Assessment a couple of years ago, but we hadn’t really talked about how our results play into our marriage . . . until now! In this book, a marriage expert and a strengths expert discuss how knowing your strengths and those of your spouse can lead to a happier and more fulfilling relationship. The book is filled with many practical relationship suggestions—good ideas, but not much different from any other marriage guide. What’s unique about this book, and the aspect I really loved, is the strengths-specific sections that explain how to maximize the strengths of each partner and understand/work with one another in areas where strengths are different. Each section includes specific activities and questions that I found incredibly helpful. 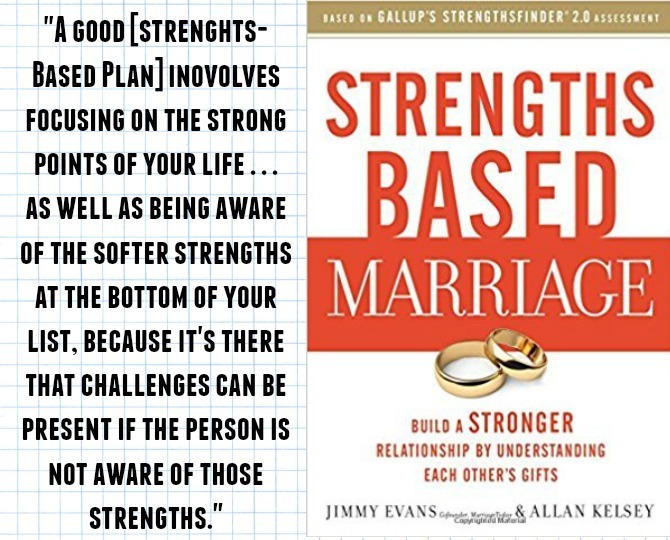 The book has many great stories of real-life couples whose relationships improved through working with each others’ strengths; while I found these stories inspiring, I would have really liked more examples of how specific strength sets work together. However, I recognize that with 34 strengths, there are an infinite number of strengths combinations and therefore such specifics would be way beyond the scope of a single book! Insecurity and feelings of rejection are pains I’ve struggled with a lot in my life (in fact, I just shared a post about them last month). 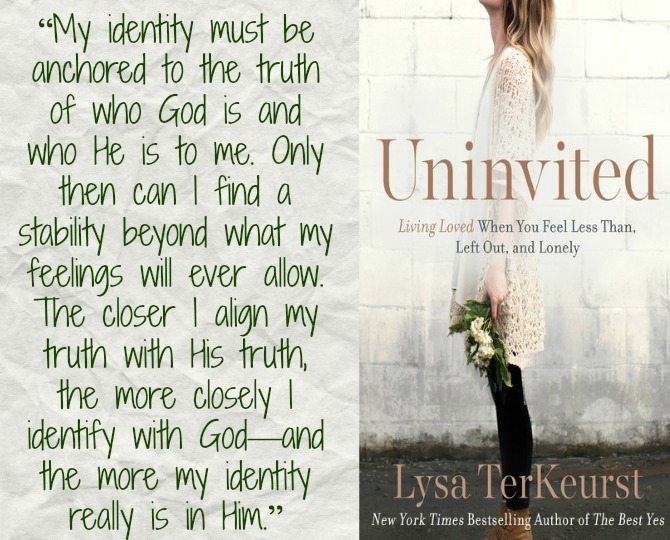 So when I learned that Lysa TerKeurst—a newly discovered, but instant favorite, author of mine—was coming out with a book on this subject, I immediately snatched it up. (I almost NEVER pay for my own books, so the fact that I purchased this one is proof of how eager I was to read it!) 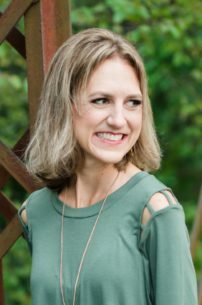 Throughout the book Lysa shares candidly about her own experiences with rejection, and how she has used Scripture to combat these feelings and live out a life that reflects her status as a beloved and welcomed daughter of God. This book came to me at the perfect moment: just as I thought I was outgrowing feelings of rejection, they’ve been coming back a lot lately, so Lysa’s words of encouragement were a welcome hug for my insecure soul. Her refreshing honesty reminded me that I am not alone in my feelings, but her Biblical wisdom pointed me to the One who wants to welcome me in and walk with me as I overcome my core fears. Funny, vulnerable, heavy on theology but also totally readable—this is a book I will be recommending to all of my friends. Women today are getting married later than ever—and often not getting married at all—and this rise in the number of single women is having an enormous impact on the cultural and political climate of America. 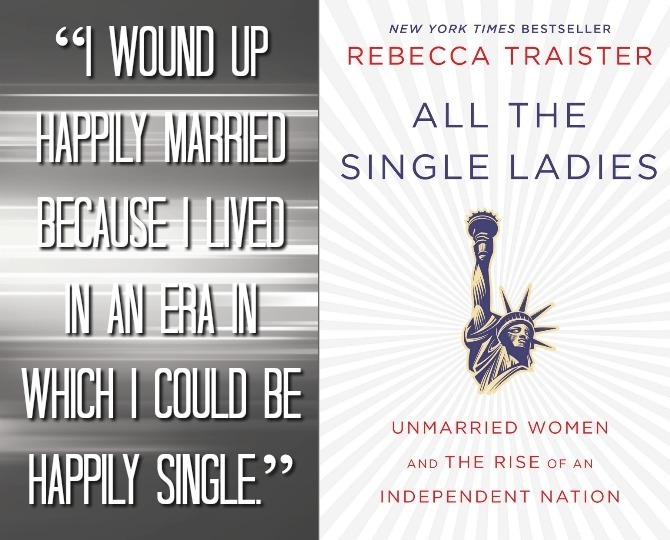 In All the Single Ladies, journalist Rebecca Traister explores the phenomenon of singlehood, providing a broad-picture look at single women of past and present. Traister underscores the importance of this demographic in various points in our nation, shows how feminism and singleness have evolved over the last century, and describes what life looks like for single women in America today. These statistics and history lessons are interwoven with stories and interviews from modern single women of varying ages, backgrounds, ethnicities, and socio-economic status. I am not single, and have not been for quite a while now, but I do have a number of single women in my life, which is what drew me to this book. This is an extensive and significant issue that affects us all and I’m thankful to Traister for consolidating so much information in one place. I appreciated the statistics, and loved some aspects of the book, particularly her discussion of female friendships and her dispelling of the romanticized views of marriage. However, Traister’s politics, spirituality, values, and worldview are vastly different from my own, and throughout the book I couldn’t shake the feeling that my own views were under harsh attack. Traister’s treatment of Christians, conservatives, and happily married individuals (all three demographics with which I associate) is dismissive, bordering on mocking, and her tone comes across as arrogant and intolerant. I’m glad I read this book because I think it’s important to step outside my own little echo chamber from time to time, but ultimately Traister’s diatribe against all I hold dear only solidified my beliefs in the value of marriage. I’m linking up with Modern Mrs. Darcy to share reviews of what we’ve been reading lately. If you’re visiting from the link-up, thanks for stopping by! 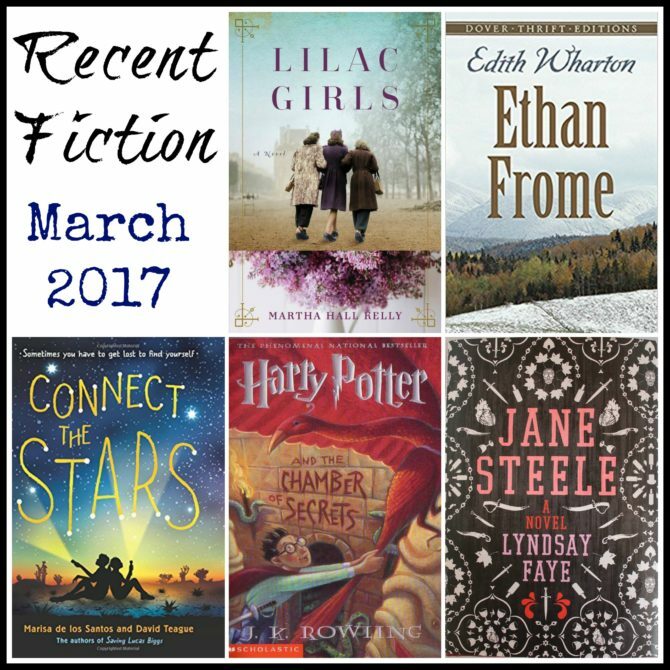 Please be sure to check out Monday’s post with my reviews of the fiction books I’ve read this month!